Painting wood paneling is not difficult. With a little extra prep work wood paneling can be painted and transformed into a more appealing surface. 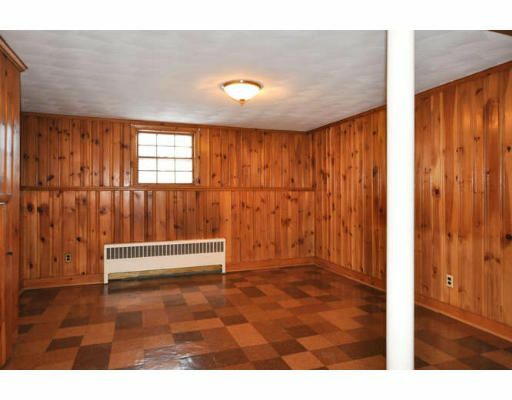 Wood paneling is not as common as it once was but it’s still in many homes. If it is in yours and you don’t want the expense of ripping it out and installing drywall, consider painting it. To do it right call The Painting Company or follow these steps to do it yourself. You will need the same equipment you would need to paint any room. In addition you will need a quality bonding primer, caulk and caulk gun, sanding pole and sandpaper. You want to do the same standard prep you would for painting a wall. Put down a drop cloth, remove switch and outlet covers, etc. You want to begin with a clean surface. Grease, oil, cobwebs, etc should be removed. If a cleaner is needed, use one that is safe to use prior to painting or make your own. A solution of 1/2 cup ammonia, 1/2 cup vinegar and a 1/4 cup baking soda into a gallon of warm water works well. Any cleaner you use should be rinsed well. Scuff sand the paneling. Basic up/down with a sanding pole will do. You want to scratch it up for the primer to bite into. Dust off the paneling. Sometimes a shop vac is helpful. Now prime the the wood surface. Next you will want to fill nail holes and caulk the seams in the paneling. By waiting to caulk until after you have primed you will see all the seams that need to be filled in. If the paneling has an open grain or was light on the wood finish (lacquer) you may need to lightly sand and prime again. Roll a couple coats of a quality finish and you are done.